Visit Whitfield and experience what sets us apart from other schools. We offer a variety of admission events designed to help you see how we prepare students for college and life beyond in a community of innovation, collaboration, and trust. We will help you in any way possible. Ask questions to find out what you want to know. Visit Whitfield for an admission event, or come to a theater performance or athletic competition. Meet with a department chairperson. Let us know what you need during this process. We look forward to meeting you. To schedule a visit or family interview, call Michelle Templeton at (314) 415-1259. More information about a variety of admission events is below in the expandable sections. Perhaps the best way to get a sense of our school is to schedule a day for a visit. Typically, a student visit starts at 8:00 a.m. and ends at 11:45 a.m.
Our visit days this spring are Monday, April 29 and Thursday, May 2. Students entering grades 6-8, register here. Students entering grades 9-12, register here. We will match you with a Whitfield student host for the day. You will see classes, tour campus, attend Morning Assembly, meet students and teachers, and have lunch. Dress is casual; we want you to be comfortable during your visit. You do not need to bring anything with you on your visit day. We want you to experience Whitfield as well. On your child's visit day, we would be delighted to guide a tour for you, introduce you to students and teachers, and find out more about what you are looking for in a school for your child. 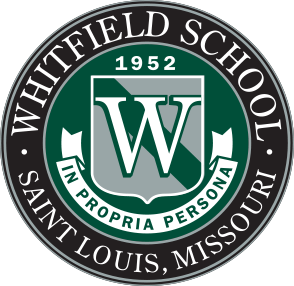 If the spring visit dates do not fit your schedule, please contact Michelle Templeton at (314) 415-1259 or michelle.templeton@whitfieldschool.org to find a date that fits your schedule and ours. We look forward to having you visit Whitfield! Our family interview, which will include your student and you, will take approximately 45 to 60 minutes. As a family, you will talk with one of our admission associates. Then, both you and your student will have a chance to talk with the same associate individually. Families often are curious about the interview. Our goal is to get to know both your student and you. What are your student's interests in and out of class? How does your student spend free time? What are you looking for in a secondary school for your student? 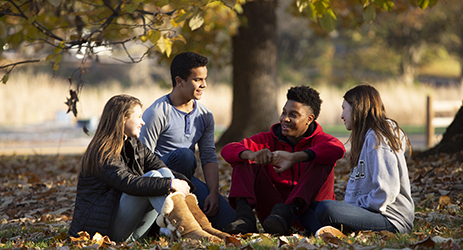 With dynamic classrooms that rely heavily on interpersonal relationships, we are looking for students whom we believe will thrive in that environment. We work with students every day and we know that there are a wide array of personalities. We carefully consider our observations in concert with the school records to create a complete picture of your student. We meet with families Monday through Friday, with appointments both during and after school to accommodate your schedule. We welcome visitors all year but the majority of appointments for Fall 2019 admission will occur between mid-October to mid-January. Interviews will begin September 24, 2018. To schedule your family interview, please contact Michelle Templeton at (314) 415-1259 or michelle.templeton@whitfieldschool.org. We recommend that students attend a visit day prior to the interview. We appreciate but do not require the application prior to the interview. Join us on Sunday, October 14, 2018 for our Open House. Meet faculty, students, and parents. Experience our unique community and find your place in it. The program begins with a presentation at 1:00 PM; please plan to arrive at 12:50 PM for check-in. Parents, students, and family members are welcome. We invite prospective students and parents to join us for an interactive event to learn more about our curriculum, community and school culture. Select the date that works best for you; on both evenings, the event begins at 6:30 P.M. and concludes at 8:00 P.M.
6:30 P.M. OPENING REMARKS l Hear from our Head of School, meet academic leaders and key administrators. 6:45 P.M. CURRICULUM FAIR l Learn about Whitfield’s approach to academics, meet current students and faculty. Experience a Whitfield education by participating in a classroom activity led by a current teacher. Engage in small-group dialogues about community and culture facilitated by school leaders. At every step along the way, please feel free to ask questions. Our faculty are great resources for you, as are our current students, parents, and alumni. Please call Michelle Templeton at (314) 415-1259 with questions about admission events, scheduling a visit, or the admission process.